China Eastern Airlines have further discounted their offer from Paris to various destinations in Japan or South Korea! Looking for some bargain deal check our below details based on this SkyTeam carrier. In Japan you can fly to Osaka, Fukuoka, Komatsu, Nagoya, Okinawa. Niigata, Shizuoka, Toyama, Sapporo, Nagasaki, Hiroshima etc..In South Korea you can visit Busan, Seoul or Jeju island. At this moment you can book the cheapest flights from Paris to Japan from €387 and South Korea from €396. Fare is inclusive of all taxes and fees and checked bag. There is one layover in Shanghai on your way. Some of the routes may require longer stop in China you would have to accept if you want to book such a low budget deal. China Eastern Airlines offer limited availability when traveling in March, May or first half of June 2019. Max stay 3 months. Need an assistance with travel dates you can reach us at info (at) flynous.com. Book this promotion by 31st of March or until sold out. 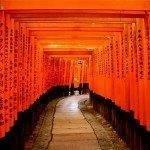 Need some budget accommodation in Japan or South Korea you can use Booking.com. Hotels.com or Amoma. Booking sample of cheap flights from Paris to Japan or South Korea from €387 return! You would depart from Paris Charles de Gaulle to Shizuoka in Japan on 13th of May. You would return from this Asian country back to France on 27th of May 2019.